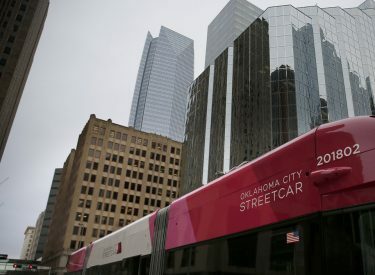 OKLAHOMA CITY (AP) – Oklahoma City’s new streetcar system is adopting a seven-day schedule beginning this month in an effort to improve consistency and reliability of service. The Oklahoman reports the decision comes as Embark transit prepares to collect a base fare of $1 for a one-hour pass or $3 for a 24-hour pass starting Saturday. A half-off deal will run throughout February for passes bought on the mobile app. Transit authorities ran the system on Sundays for the first seven weekends at Mayor David Holt’s insistence. Streetcars will operate 11 a.m. to 7 p.m. on Sundays through March after a break this weekend to get traffic signal priority equipment functioning.